Please Note, this unit comes with Power Supply and V2 Console Cable! 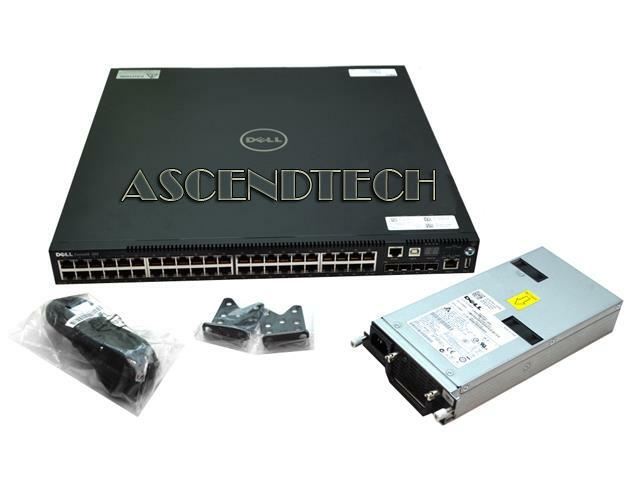 Dell Force 10 S55 Series 44 Port Managed Gigabit Ethernet Network Switch TR7CT 0TR7CT CN-0TR7CT. 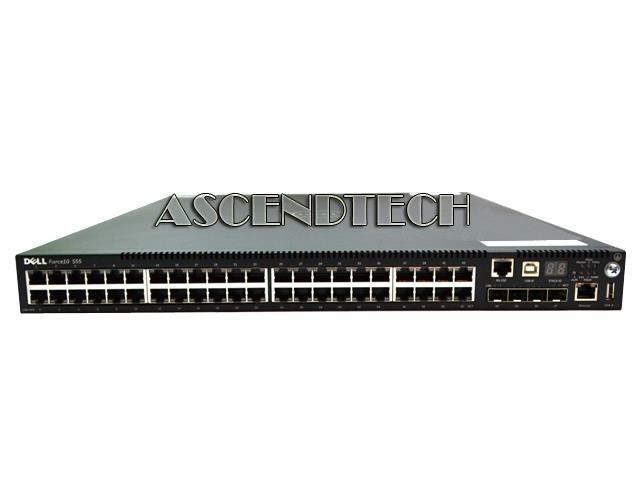 The Dell Force10 S-Series S55 1/10 GbE top-of-rack (ToR) switch is optimized to lower operational costs while increasing scalability and improving manageability at the network edge. Designed for high-performance data center applications, the S55 leverages a non-blocking architecture that delivers line-rate, low-latency L2 and L3 switching to eliminate network bottlenecks. The high-density S55 design provides 48 GbE access ports with up to four modular 10GbE uplinks in just 1-RU to conserve valuable rack space. The S55 incorporates multiple architectural features that optimize data center network efficiency and reliability, including reversible front-to-back or back-to-front airflow for hot/cold aisle environments and redundant, hot-swappable power supplies and fans. The S55 is a “scale-as-you-grow” ToR solution that is simple to deploy and manage. Up to eight S55 switches can be stacked to create a single logical switch by utilizing Dell Force10’s VirtualScale technology and high-speed stacking modules. The S55 provides support for Dell Force10’s Open Automation Framework, which leverages capabilities of the modular Dell Force10 Operating System (FTOS) software to bring network automation into virtual data center environments. This helps them more responsive and adaptable to changes in application requirements. The Open Automation Framework is a suite of inter-related network management tools that can be used together or independently to provide a network that is more flexible, available and manageable while reducing operational expenses.